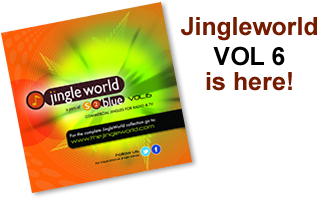 Here at JingleWorld we have hundreds of commercial jingles available to be resung for TV or radio campaigns. Our team of composers, singers and engineers are experts in jingle production, having created thousands of jingles for campaigns all over the world. There’s hundreds of categorised jingles on this site, but if you can’t find what you’re after, just give us a call or email us to discuss custom jingles. S2blue’s Jingleworld offers a fast, creative and cost effective commercial jingle production service. Our experience in the field is unequalled in the UK , having produced literally thousands of jingles for clients all over the world. ©S2Blue Ltd. All Rights Reserved.